Allegri has repeatedly decided against committing himself to the Serie A leaders in recent months, and held talks with Juventus chairman Andrea Agnelli after the club's win over Atletico Madrid in the last 16 in March about his future. Speaking after Juventus' 1-1 draw with Ajax on Wednesday night, he said: "My future? A coach does not last forever." 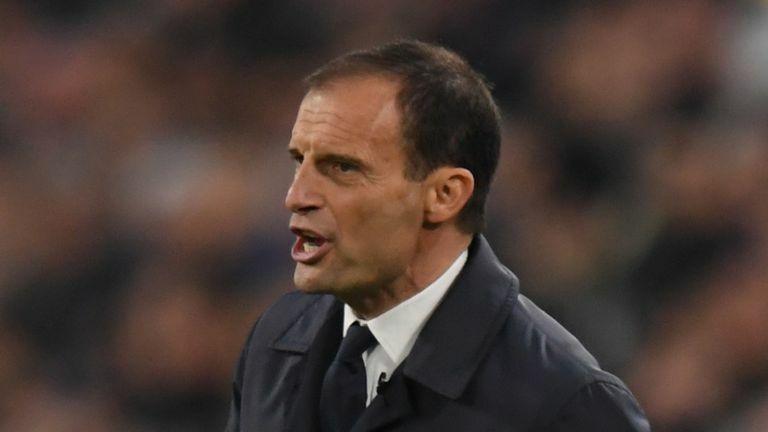 That comment contrasts with statements made by Allegri last week to Italian publication Corriere della Sera, where the 51-year-old, who has been in charge in Turin since 2014, suggested he would favour a long-term career with the club. "I would love to be compared to [Sir Alex] Ferguson," he said. "Because it would mean staying for many years at Juve."